The Da Vinci Gilder's Tip is an essential tool for oil gilding using gold, metallic, and silver leaf. Made from pure blue squirrel hair and available in single and double thickness. 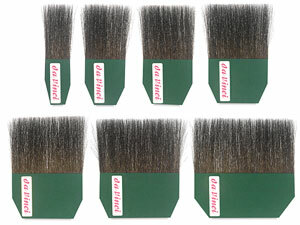 Double Gilder’s Tip contains pure blue squirrel hair of a double thickness in a red holder.